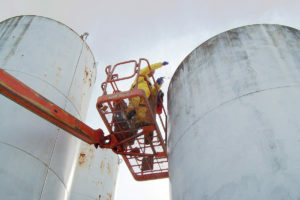 Storage tanks are valuable assets and so are the products they hold. 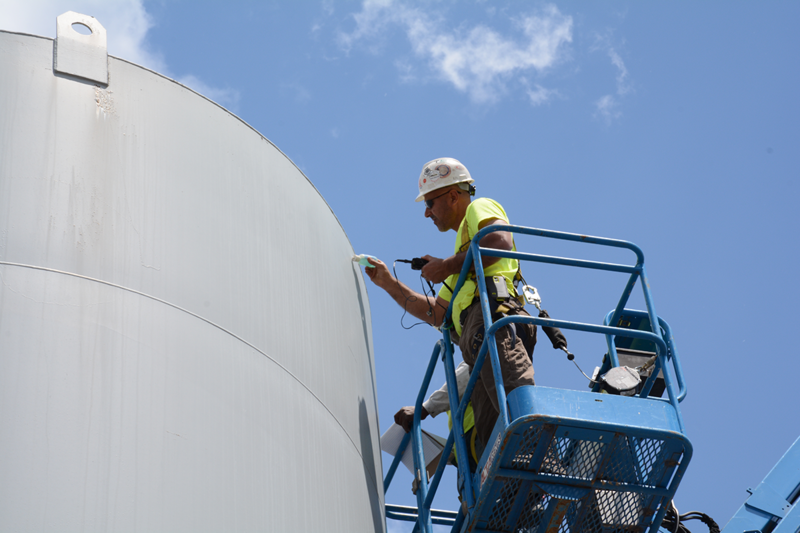 Regular storage tank inspections can help extend the lifespan and operation of your equipment and infrastructure. 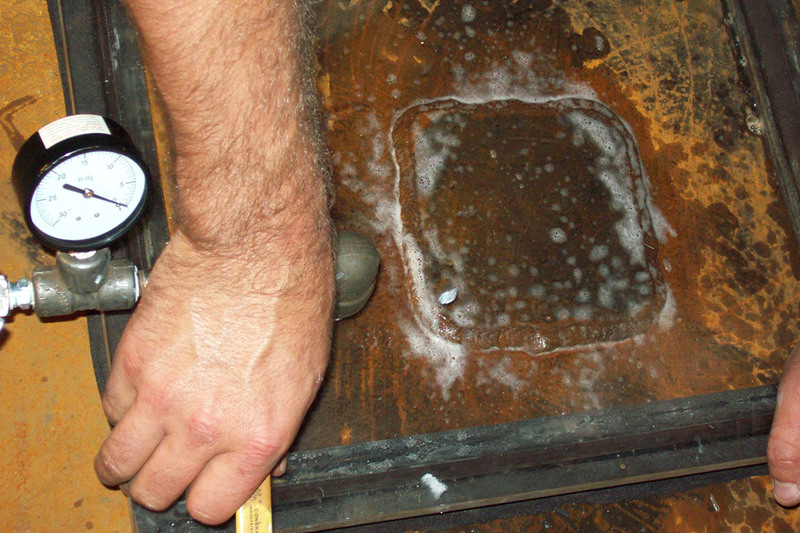 TSP will identify problem areas and will communicate ways to improve your structures’ conditions. 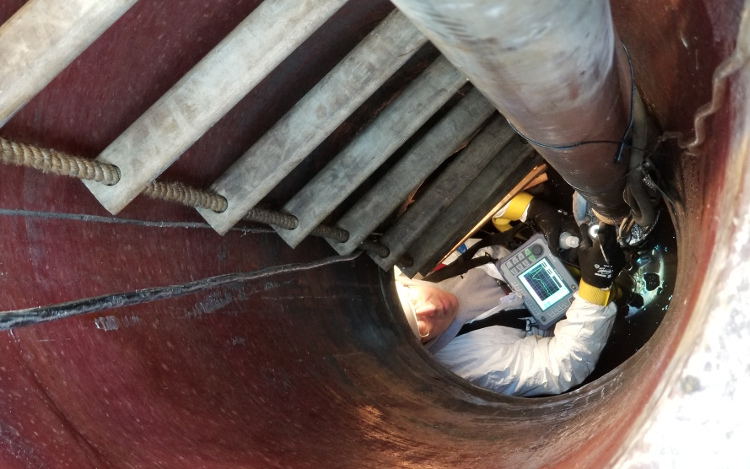 Not only will regular inspections help to extend the life of your tanks, piping, and vessels, but they can save money by identifying issues before they become a problem and satisfy your regulatory requirements. Our inspectors hold industry leading certifications for inspection of steel, fiberglass-reinforced plastic(FRP), and plastic (HDPE) tanks. We take the time to understand each tank’s role in an organization and customize every inspection plan to meet the owner’s requirements. As steel tanks age, their metal shells naturally corrode. 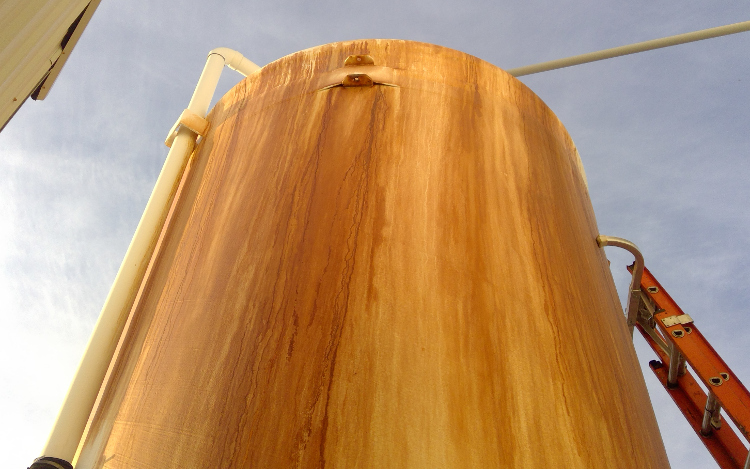 The rate of corrosion depends on many factors including the product stored in the tank, the tank’s exposure to weather, and the integrity of the tank’s coatings or linings. While the entire tank will naturally thin over time, tank failures are normally the result of localized damage that can be found during inspection and repaired at a fraction of the cost of a new tank. Our staff is certified under API-653 and STI SP001 to perform aboveground storage tank (AST) inspections. This dual certification allows us to customize inspection plans that satisfy the owner’s needs and meet regulatory requirements. 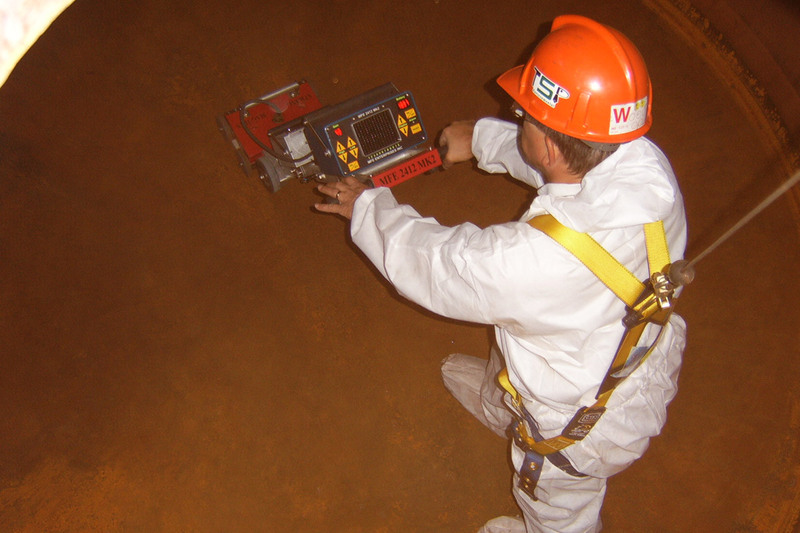 Each of our inspections are designed and performed by a certified inspector and reviewed by a Registered Professional Engineer. API-570 piping inspections to meet customer needs. 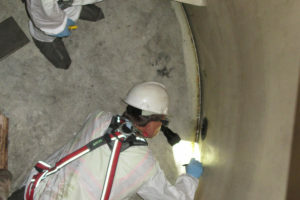 Fiberglass reinforced plastic (FRP) tanks present unique inspection challenges. As fiberglass tanks age, structural defects appear in the layers of fiberglass and resin from which the tanks are built. 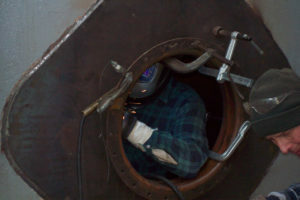 Common fiberglass tank inspection methods rely on visual inspection to identify cracking or damage to the corrosion barrier, but are unable to provide much insight regarding the fiberglass structure. 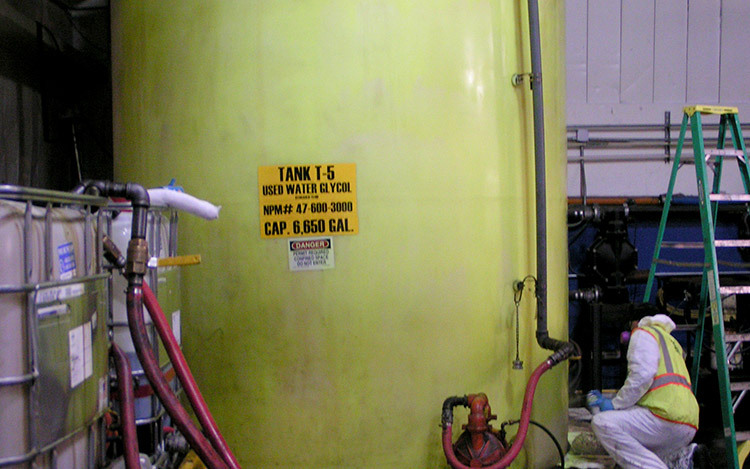 FRP tank owners often retire their tanks early, at significant expense, because inspectors struggle to provide good estimates of a tank’s remaining life. 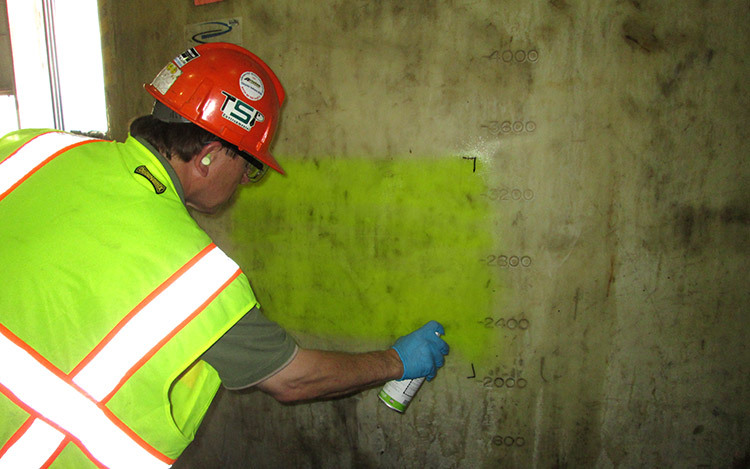 TSP performs FRP tank inspection using UltraAnalytix™, a patented method for inspecting fiberglass assets. 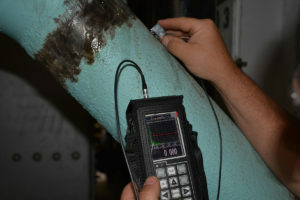 UltraAnalytix uses ultrasonic flaw detection to gather data about the fiberglass structure of the tank and analyzes the data with powerful software to determine the tank’s condition. The analysis determines the remaining percentage of design strength and estimated remaining service life of the tank. Can be performed while tanks are in service. No plant or equipment shutdown required. Maintains structural integrity of FRP. Testing is non-destructive and non-intrusive. Generates numerical results for tank integrity and remaining service life. Allows ongoing upgrade of safety factor or structural integrity. 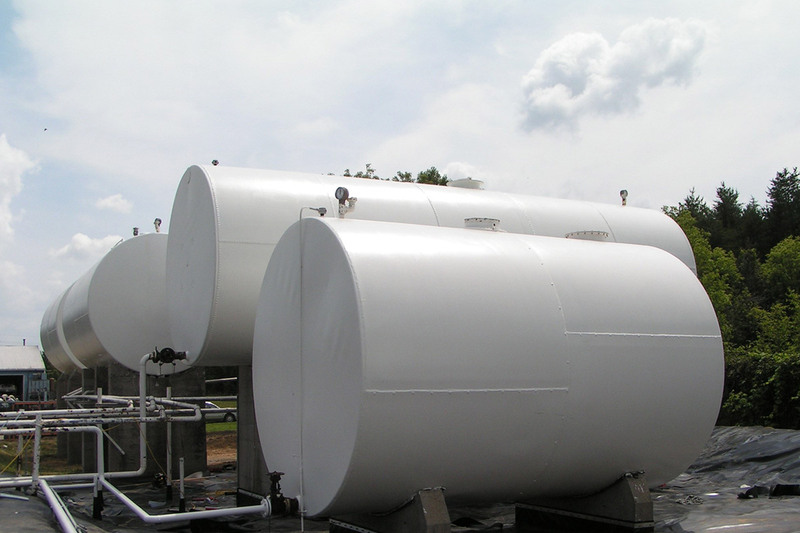 Plastic tanks, also known as poly tanks or HDPE tanks, are common in commercial and industrial settings where chemical compatibility or low cost storage are essential. New plastic tanks are impact-resistant due to the flexibility of the material and become more brittle with age. 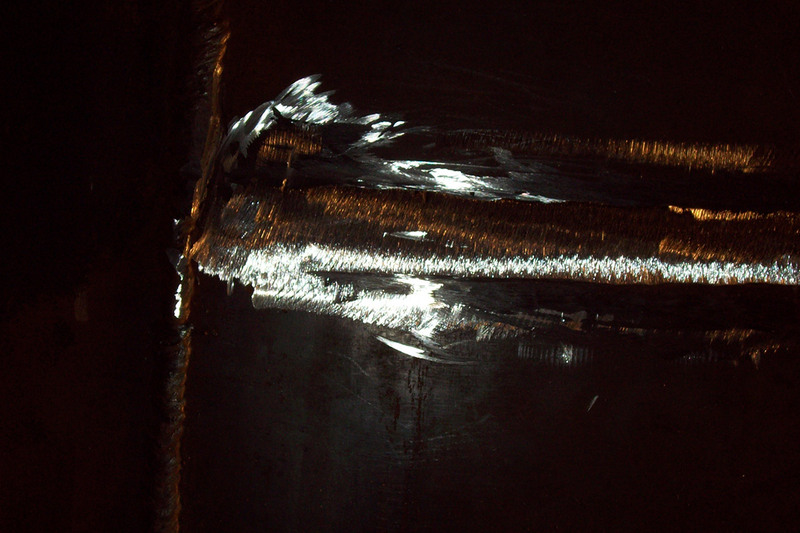 Older tanks are more likely to experience cracking which requires the tank to be removed from service. 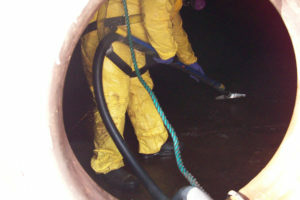 TSP inspects plastic tanks using non-destructive methods to identify their condition. Every plastic tank inspection is performed under the supervision of a Registered Professional Engineer with years of experience inspecting plastic tanks. 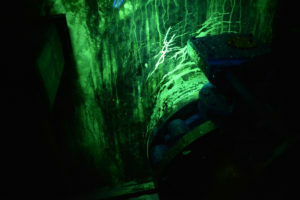 Inspections focus on the interior and exterior of the tank using a combination of visual inspection and dye penetrant testing to identify cracks. Candling: Visual inspection assisted by a bright light directed through the tank shell. Candling requires the tank to be emptied and cleaned and may require confined space entry. Dye Penetrant Testing: A water soluble dye is applied to the tank shell and allowed time to penetrate into cracked areas. 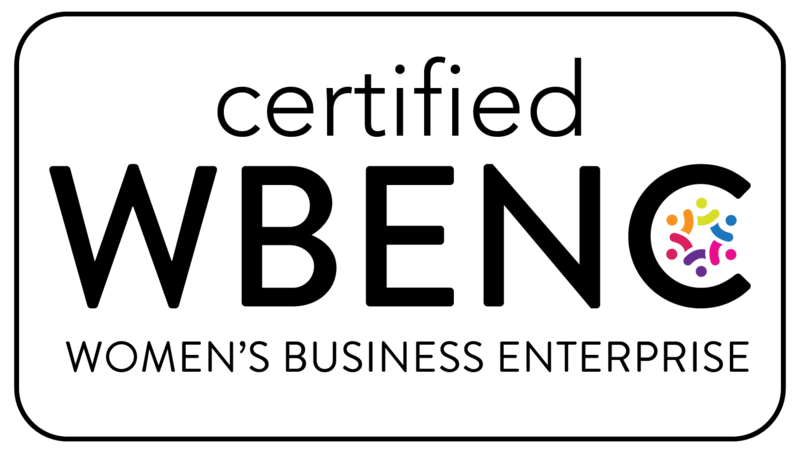 An ultraviolet light illuminates the dye where it has penetrated. Impact Testing: A blunt force is applied to the tank shell to test the brittleness of the material. This testing method is only used with permission from the owner because it may not be entirely non-destructive.